When I began my journey as the mother of two children with learning disabilities, I quickly realized that the conversation about my kids’ unique needs was missing. It was missing from my chats with friends, from conversations with parents at our local park, from the parenting magazines I was reading, and from announcements on our school's website. That’s why I started looking for ways to talk about my amazing children in a way that would help others understand and accept them. One of the ways I do that is through Facebook and Twitter. True, it takes a certain measure of confidence to “put it out there” on social media, and some parents may not be ready to share about their child’s diagnosis or the struggles and triumphs they’re facing. If you’re open to sharing, though, social media is both empowering and encouraging like no other medium I’ve found. Do you want to learn more about AD/HD, dyslexia, or learning disabilities in general? 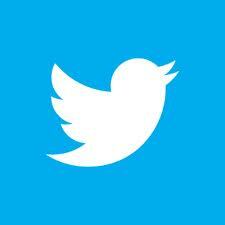 Twitter offers tons of information! The breadth of info available, though, can make it seem overwhelming. Don’t worry: If you’re interested in specific topics, it’s fairly easy to consolidate the “Twitter-verse” into a space that’s comfortable for you. If you don’t have a Twitter account, sign up now—it only takes a minute or two. Once you’ve logged on, type in a search term and “Follow” the folks who are tweeting about what you want to know (@LDorg was one of the first on my list!). Then, follow the people or organizations they’re following, and perhaps the people who are following them. It’s a quick way to start building your community. After spending some time observing your community’s messages via your Twitter feed, maybe you’re ready to jump in and take advantage of the 140 characters to share and encourage others. A simple tweet can share a simple, personal truth and help recognize the organizations that support your kids and causes you care about. Hashtags are another great way to follow conversations about very specific topics. Type “#” followed by the specific topic that interests you in the search box, click on the magnifying glass, and tweets from others interested in the topic will appear. Many organizations create hashtags. Project Eye-to-Eye, an organization that connects LD college mentors to younger LD students, coined #LDProudToBe. The National Center for Learning Disabilities started #LDChat, a forum where you can ask questions about LD. Give these a try and comment below to add the LD hashtags that you use the most! You already know that your Facebook friends love to see pictures of your kids’ birthday parties. Have you considered that they might also love to hear about how you’re advocating for your child with disabilities? Think of Facebook as your personal platform to garner support from the people you already know and love. Once you start to share, you may be surprised to discover that many of your friends are going through the same trials and triumphs with their own children. Take some time to discover the value of the Facebook community for people who are facing similar trials. One example is the Facebook page for The Big Picture: Rethinking Dyslexia, a film that raises awareness about how people with dyslexia have unique talents and strengths that often lead to success. The Big Picture’s page is covered with comments from children and adults with dyslexia, parents, teachers, and friends. They share details about their personal experiences, and the result is a truly engaged and inspiring online community. Following organizations on Facebook keeps you in the know regarding who’s talking about topics you care about. Along with organizations that support people with learning disabilities, like NCLD, I follow my local school district and elementary school. If there’s a topic I’m curious about, I post directly on my school district’s (ISD) wall and ask about it. For example, our ISD had scheduled a dyslexia-education meeting for parents, but hadn’t posted about it online or sent much information to parents via the schools. After posting on our ISD’s page and asking if more information could be distributed about the meeting, I not only received an immediate response from our communications director, but the meeting was announced on the district’s website and a district-wide email was sent within days. Out-of-the box advocacy isn’t always comfortable, but advocacy rarely is—especially if you’re new to it. But stepping out of your comfort zone—if even just a little bit, with a simple tweet or post—could lead to exciting results, like sparking conversation about LD in your community and beyond. 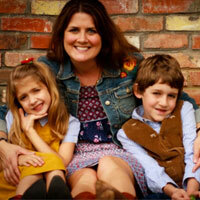 Lyn Pollard is a freelance writer, parent advocate, and the mother of two kids who learn and play differently. A former journalist and change management consultant, Lyn writes, talks and tweets about advocacy, literacy and safe schools for kids with learning disabilities and special needs. Check out her piece in the New York Times.